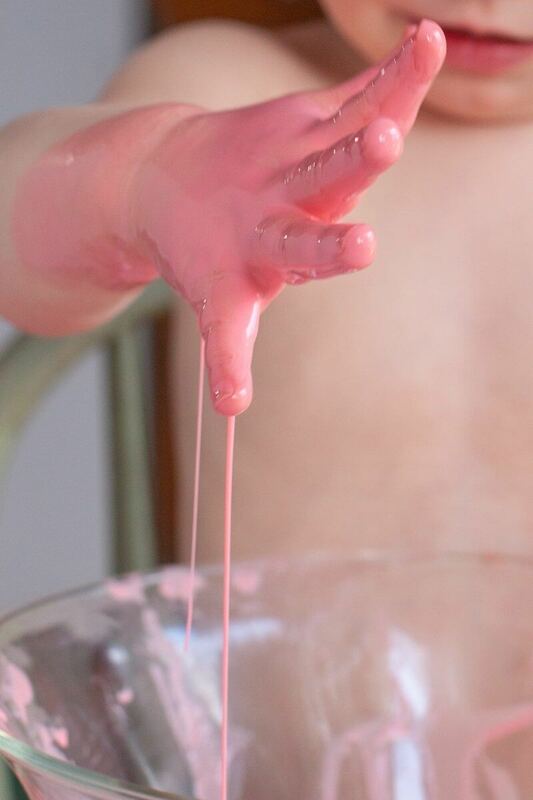 Shaving Cream Paint for Toddlers is a Fun Sensory Art Project! 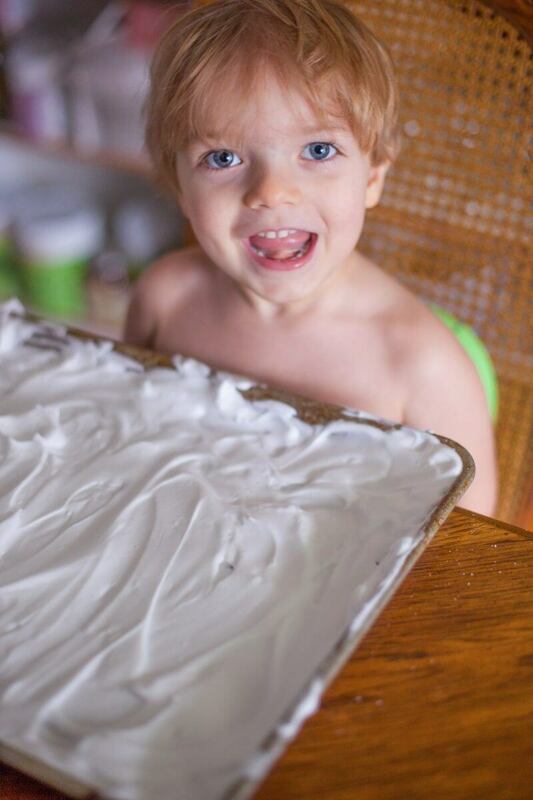 Shaving cream paint is a fun way for your toddler to create beautiful marbled works of art, and get some sensory play at the same time! 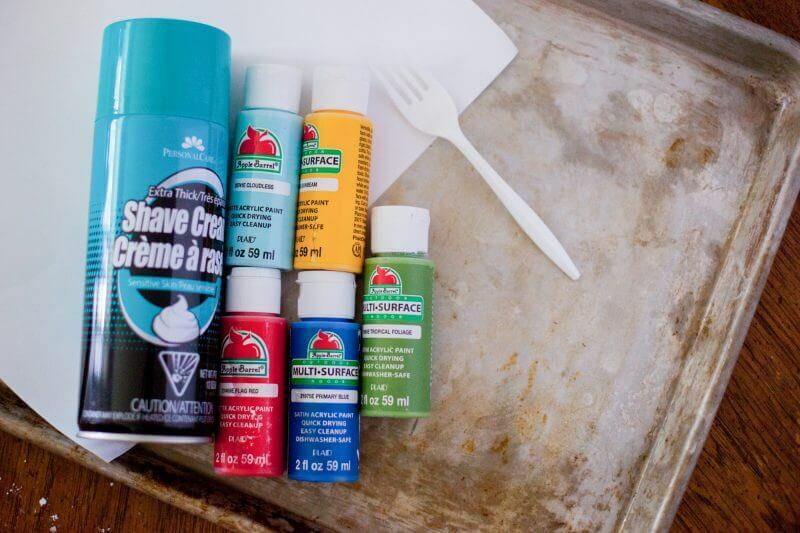 Here are the supplies you’ll need for your toddler’s shaving cream paint. 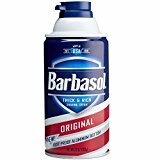 If you purchase them (or ANYTHING else) through these Amazon links, we get a tiny commission that helps support our family business. But you can also find them at your local Walmart, craft store, or drug store. 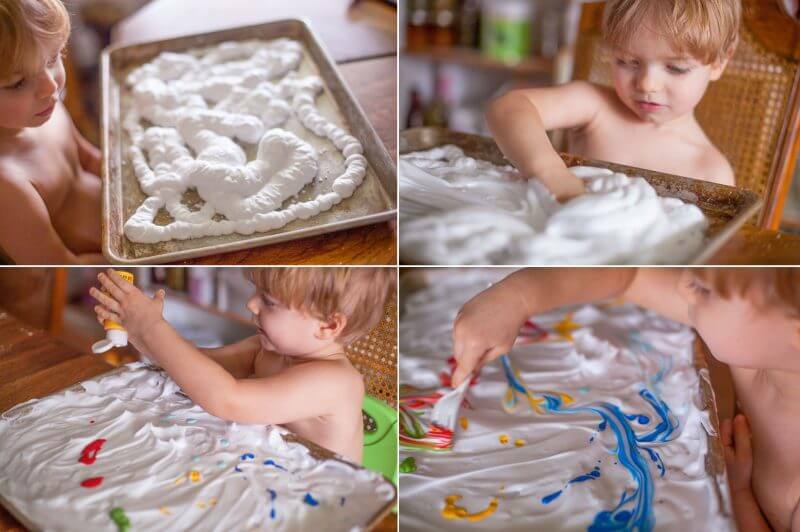 Shaving cream paint is one of those kids projects that I can’t help but want to do side by side with my little one. It’s as messy as you want to let it be, but it also actually creates something really beautiful. 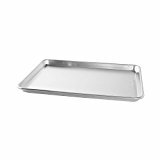 I squirted foaming shaving cream ALL over a bakers half sheet pan, then let Corban go to town spreading it to cover every square inch of pan. He was SO proud of himself when he got the pan completely covered! Then he got to start squirting paint onto the foam. I let him pick which colors he wanted out of ALL the colors on the shelf. It was another proud big boy moment for him. 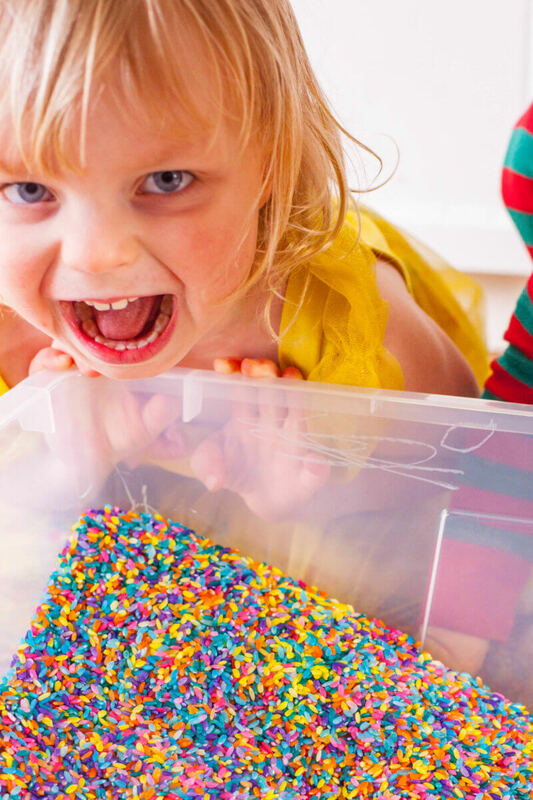 Don’t you love finding easy opportunities to let toddlers feel like they are in control? Swirling the paint into the shaving cream is where you get to control the mess a bit. If you’re outside, or at a space that’s easy to clean, you can let them use their hands. I chose to give Corban a fork. Don’t get me wrong, I love messy activities! But I didn’t want to have to give him a bath after the project. You can use a fork, a comb, a popsicle stick, whatever you like. It’s actually a great way for them to work on their dexterity as they swirl the paint carefully with their tool. 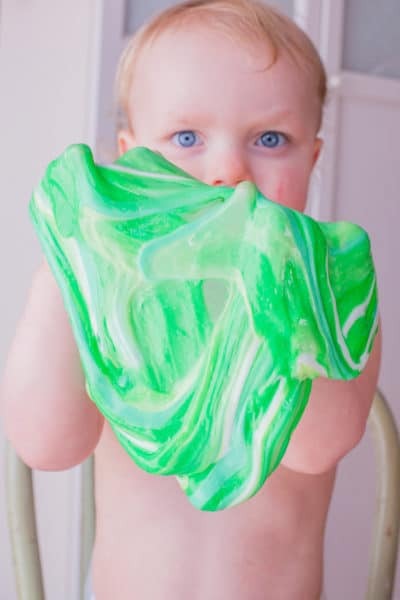 While the colorfully swirled shaving cream can be its own beautiful, fun activity, you don’t have to stop there. 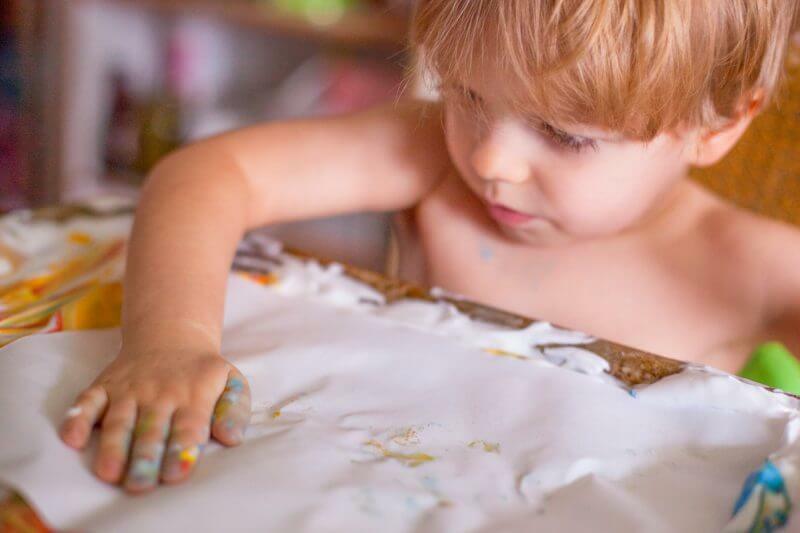 A big piece of heavy duty sketch paper is the perfect blank canvas to save your toddler’s artwork on. 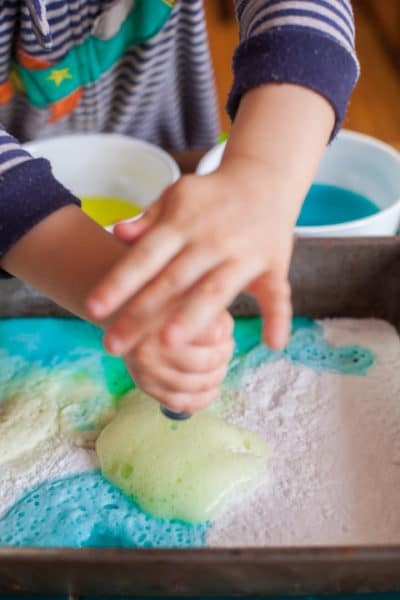 Help them to carefully place the sheet of paper onto their shaving cream paint, then let them press the paper down all over. 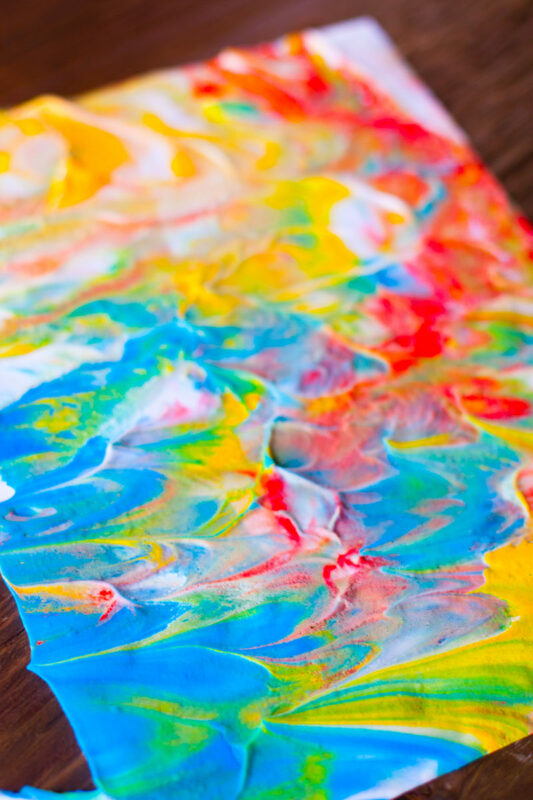 Peel the paper off, and you’re left with a beautiful marbled masterpiece! Isn’t it lovely?! 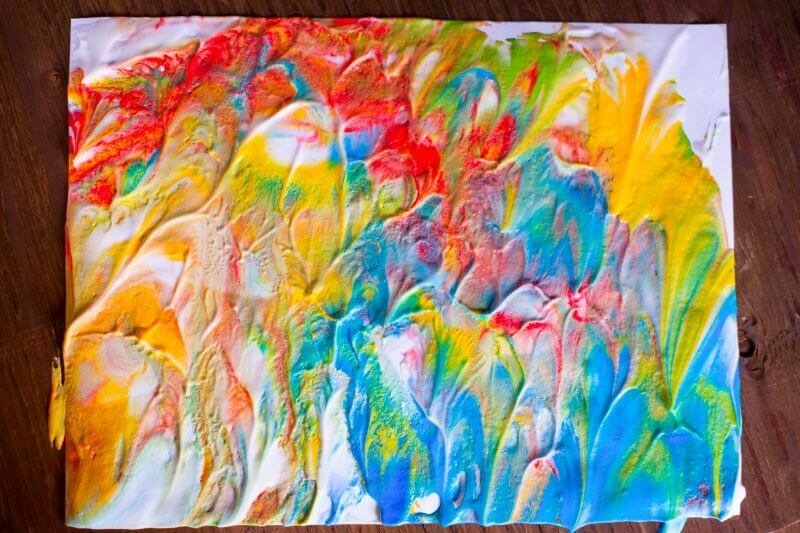 Depending on the weather, and where you put it, the shaving cream paint can take a few days to dry. We hung ours on the standing freezer with magnetic clips, because I knew it wouldn’t get smudged there while it dried. You can also lay it flat, or hang it with clothespins on a clothesline or hanger. 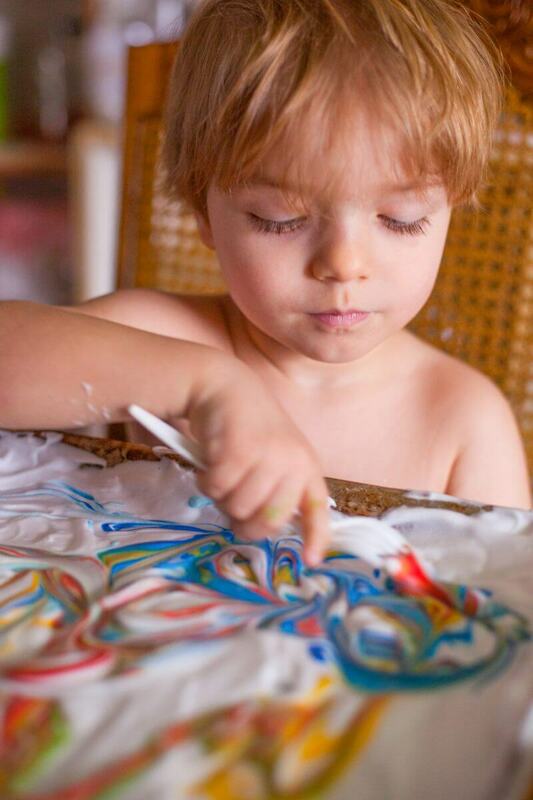 If you make shaving cream art with your toddler, we’d love to see it! You can share a photo on our Facebook page. It’s so fun to check out everyone’s creations!